Sadie Thompson was an Edwardian lady. 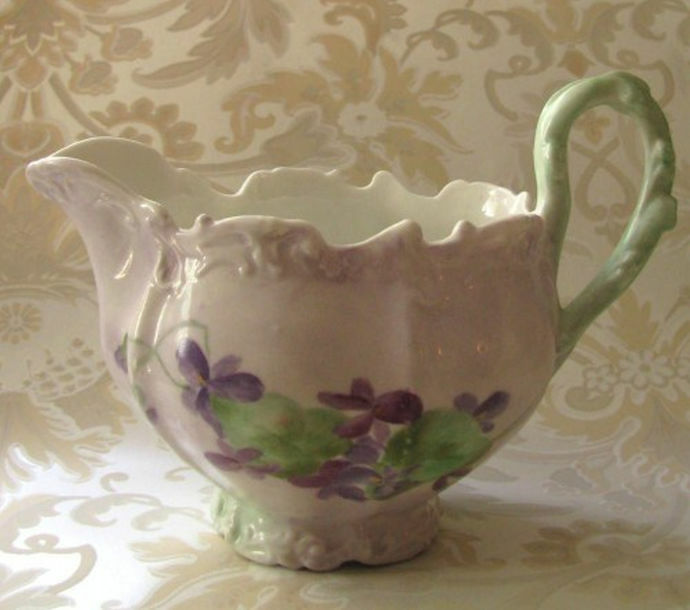 I do not know anything about Ms. Thompson but for this beautiful creamer and sugar bowl set she painted in 1901. 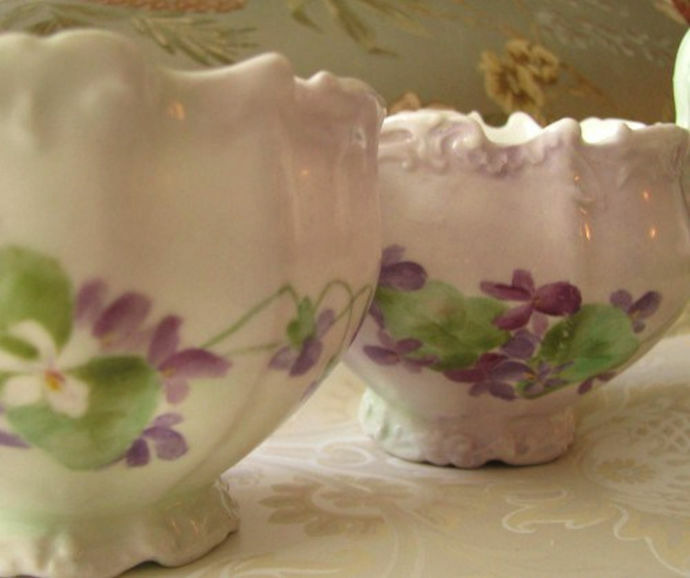 Delicate violets in cream and lavender, sage green and violet - sweet porcelain pieces from Coiffe Limoges of France, with intricate Art Nouveau profiles. 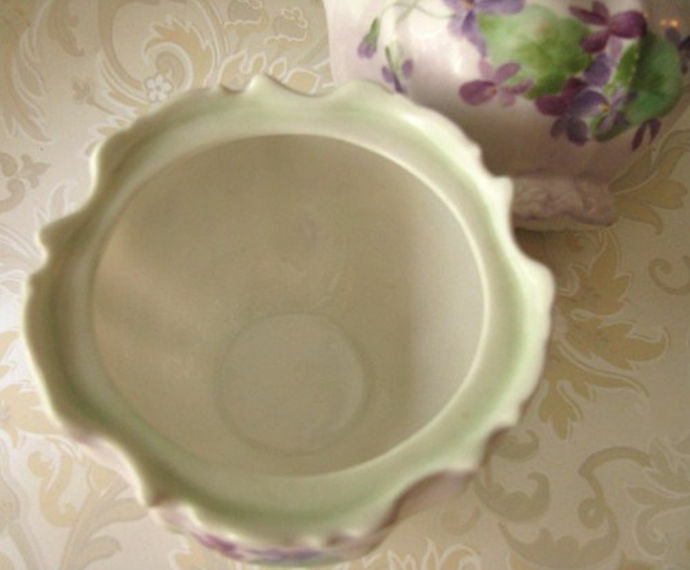 Sadly, the lid for the sugar bowl is missing. 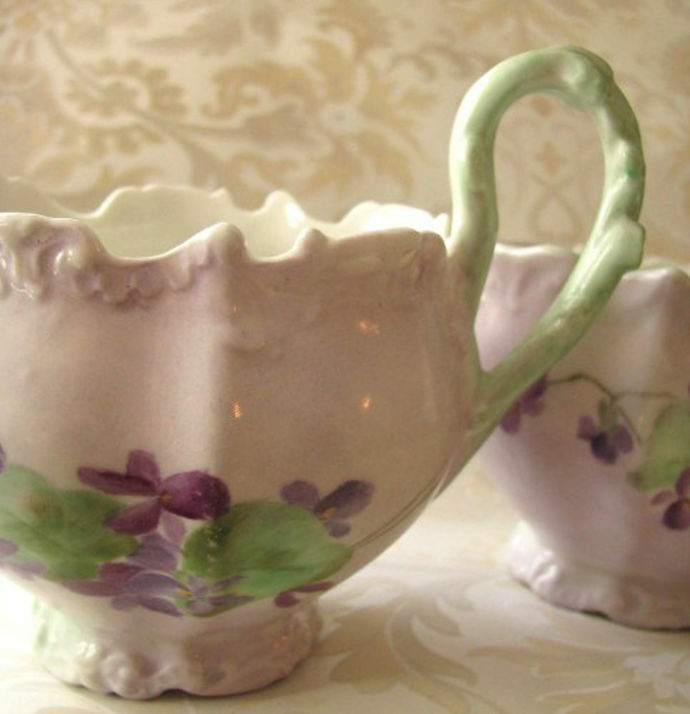 Happily, this does not diminish the beauty of these two pieces, sugar bowl and creamer. And, happily for you, the missing lid reduces the price greatly. 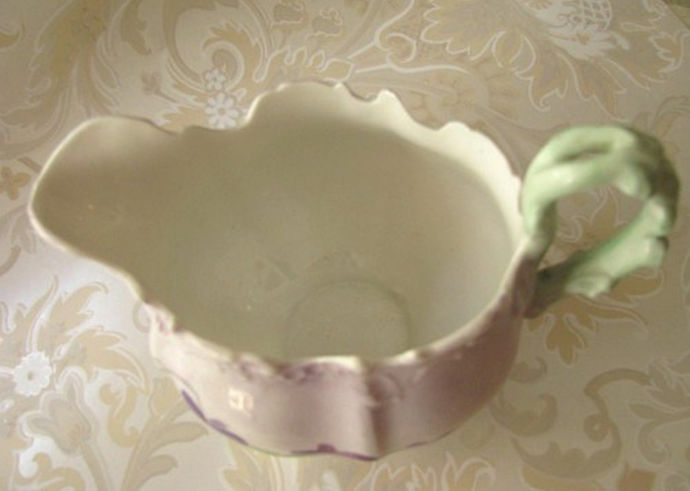 The two pieces here are quite perfect - no chips, cracks, fractures, or repairs. The ornate edging is lovely and smooth. The paint on both is in wonderful condition. 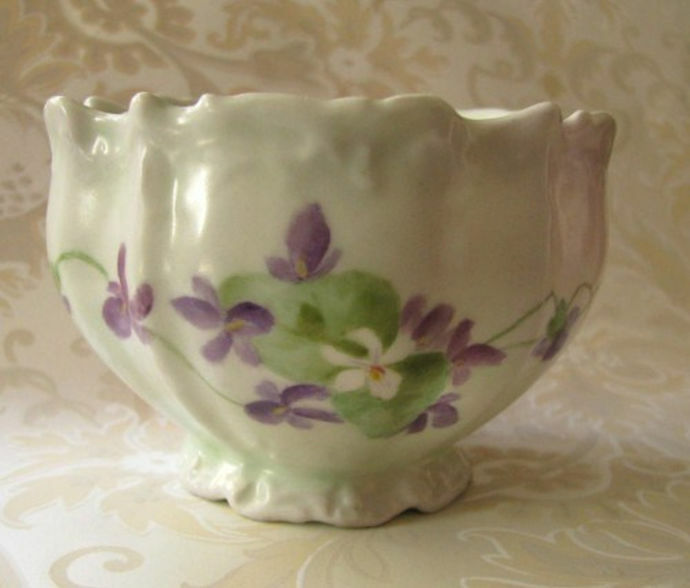 The violets and leaves are sweetly and beautifully shabby. 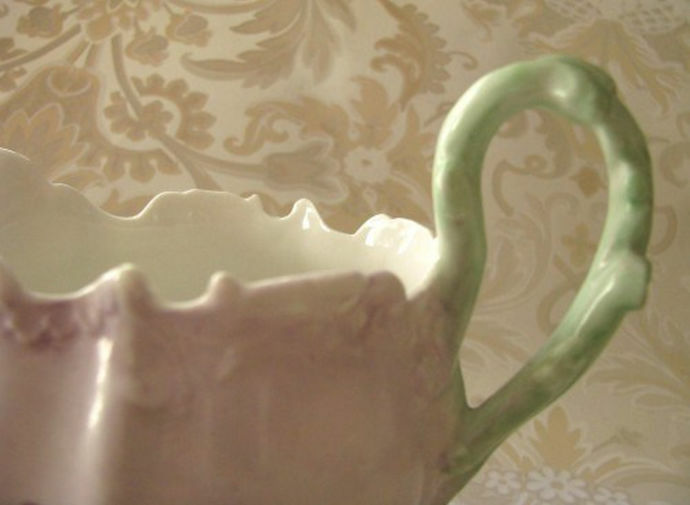 Still wonderful for the table as the creamer and sugar they were meant to be, or perhaps you'll use at your desk or dressing table as a sweet caché, for your brushes, make-up or paint. 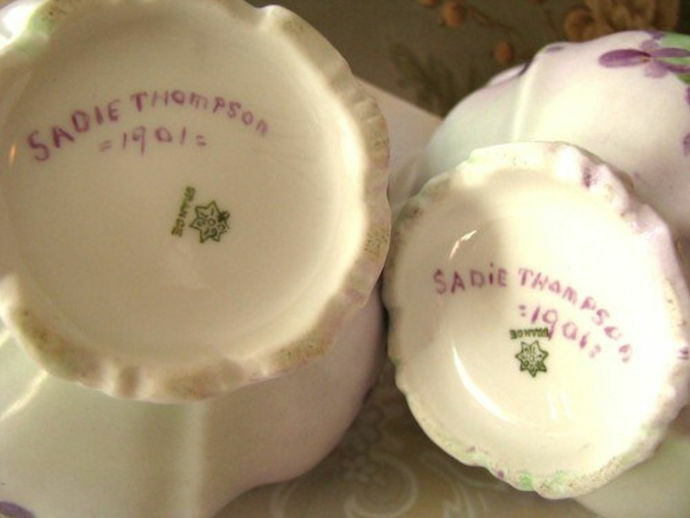 Clean hallmark on the reverse of both pieces clearly identify Coiffe Limoges and, of course, Sadie Thompson's wonderful signature and dating of 1901 is also on both pieces. I ship via USPS 1st Class Parcel for both Domestic and International destinations. Lower US 48 states shipping includes USPS Delivery Insurance and all US locations includes USPS Delivery Confirmation.